Young Oskar Schell has two missions in life and one strategy: find the owner of a key whose name is Black. That will help him deal with his 9/11 experience and also find the lock that fits a key. Anyone who has had some interaction with someone who exhibits Asperger's Syndrome characteristics will appreciate Wikipedia's definition: "an autism spectrum disorder (ASD) that is characterized by significant difficulties in social interaction, alongside restricted and repetitive patterns of behavior and interests." An article about Asperger's that is more accessible (and vetted for accuracy) for those with learning disabilities is available at DOPA, "Asperger syndrome." If you are not familiar with this syndrome, you may have the reaction of one IMdb reviewer, Otisburgh, regarding the main character of the movie Extremely Loud & Incredibly Close, a young boy played by actor Thomas Horn: "His character was not likable at all - he was rude and weird, and not in a good way." Director Stephen Daldry elicited from young Thomas Horn a realistic portrayal of the behavior exhibited by someone skirting along the edge of the autism spectrum. Portraying the parents of young Oskar are actors Tom Hanks and Sandra Bullock, who catch the realism of their parenting situation: that to deal with Oskar's behavior is to acknowledge the reality of that behavior. The added drama is that Oskar's behavior includes a reaction to the 9/11 tragedy. The structure of the plot is episodic, with the protagonist interacting with a series of characters and environments in his attempt to solve the mystery of a key that belonged to his father. Along the way he meets a spectrum of humanity--that mystery Oskar finds so challenging--and learns from his experience. Included among his introductions are characters played by Viola Davis (2012 Oscar Nominee) and Max von Sydow (Oscar Nominee, 2012 and 1989). 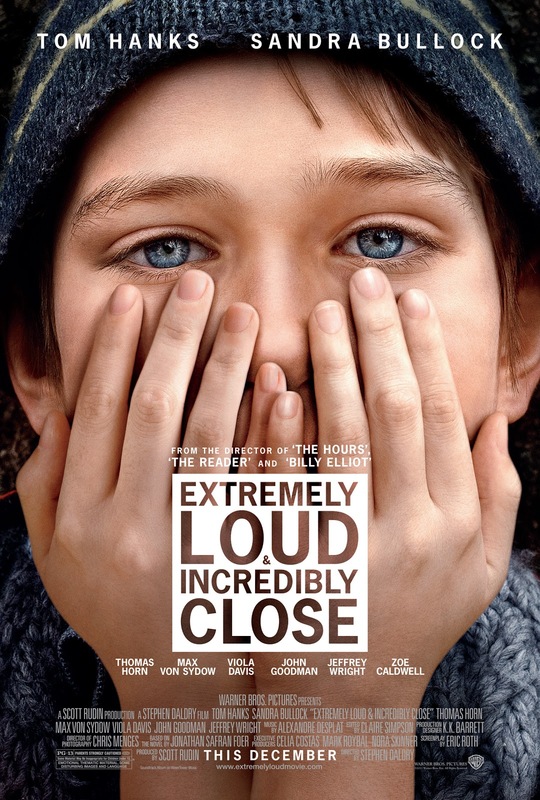 I understand and applaud the Academy Award 2012 nomination of Extremely Loud and Incredibly Close for best picture. The movie walks a tightrope between realism, the archetypal journey to self-awareness, and the unconditional love of parents. Some viewers may think the movie slips the tightrope and plummets to its demise. I'm with those who feel the movie makes it to the other side--and that the story takes me along, too, a better person for the experience.